With the support of the NSW Office of Sport, Sports Medicine Australia are proud to provide this Concussion in Sport Policy. 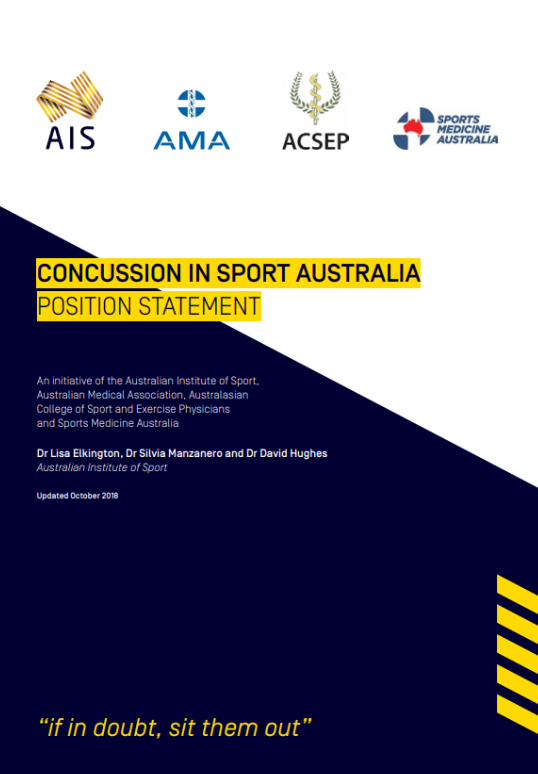 This policy is an educational and practical resource for State Sporting Organisations to help them create safe sporting environments by providing important information about how to recognise and manage concussion in sport. 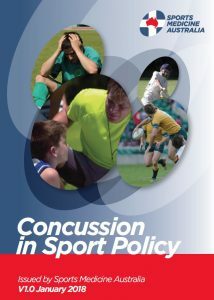 Click here to download our Concussion in Sport Policy. The ‘Consensus Statement on Concussion in Sport’ was devised at the 5th International Conference in Concussion in Sport held in Berlin in 2016 to help develop further conceptual understanding of sport-related concussion (SRC) using an expert consensus-based approach. Ultimately the aim of the Consensus Statement is to assist those involved in athlete care- whether at a recreational, elite or professional level- in managing concussion safely. Click here to read the Consensus Statement.